Eileen/Mom/Grandma/Aunty Aunty, left us peacefully in Abbotsford Hospital, surrounded by her family in a room full of love. Born and raised in Edmonton, Eileen moved to Vancouver as a young woman where she met and married her life’s love, Ernest Johnsen. Raising their family in Langley, Eileen spent her days caring for her children, niece and nephews and many neighborhood friends. Days at the beach, fresh baked goodies or just a friendly ear are some of the childhood memories we all share. In her later life, she kept busy with many crafts and home based businesses. Upon retirement they moved to Abbotsford. It was here that Eileen started her many years of volunteer work with the Abbotsford Seniors Peer support group and Hospital Auxiliary. 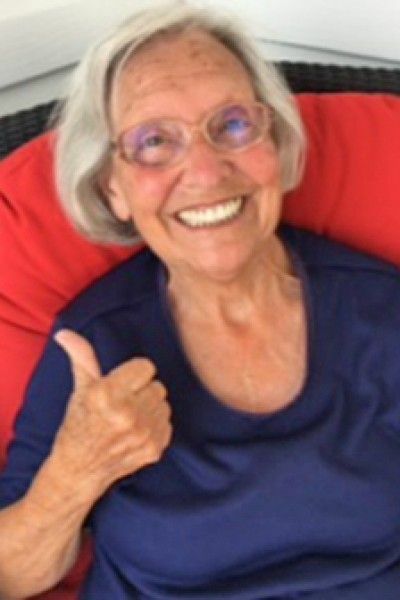 She loved to travel to visit her sons and her grandchildren in San Diego and Maui. While at home in Abbotsford, her family and grand children filled her time with many adventures and her home with visits. Predeceased by, Husband Ernest Johnsen, Daughter Lorna Kathleen Johnsen, Sisters Kathleen (Bishop) Johnsen, Evelyn (Bishop) Mozell and nephew Christian Johnsen (Luella). Survived by her children, Laura Bouchard (Lee), Sam Johnsen (Leslie) and Karl Johnsen (Penny). Grandchildren Melani (Toni), Ashli, Mitchell, Connor, Travis, Shelby, Cale and Carli. Niece Charline, Nephews, Jeff (Rose Marie), Ken, Jim (Aline), Richelle, Dana, Katelyn, Craig, Laine, Hudson, Beckett, Bailey, Noah, Kingston, Carter, Amalia, Julianna and her many special friends, that will forever miss her beautiful smile and kind words. In lieu of flowers we ask that donations can be made to the Abbotsford Hospital Auxiliary in memory of Eileen. The family will host a celebration of Eileen’s life at a later date in June. Special thanks to the Dr.’s and Nurses at Abbotsford hospital that provided such loving care to our mom.